Do you ever feel like there is your higher-self language and your lower-self language? Have you ever found yourself speaking in a voice that’s not fully connected to your heart or listening to one? 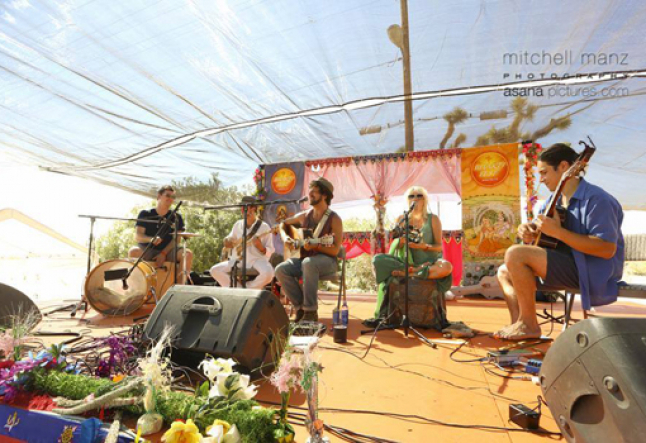 Recently at Bhakti Fest West I found myself in this position. A lovely woman who was taking a moment of her time, to offer up a compliment, stopped me. She had kind words to say about a kirtan I participated in that moved her. She was saying repeatedly how beautiful I was and after several most sincere thank you(s) I became uncomfortable. In hopes to end the awkwardness I was feeling, I fired off a response I had heard before “ I am simply a mirror of you” I said. My close friend of nearly 20 years standing beside me for the exchange shot me a look that sent us both into laughter. Why? I meant it, but the disconnect was felt and so perhaps was the ulterior motive. “Duly noted” I said. I am the first to drag, save and share a good inspirational quote found online. I feel a sense of responsibility to keep myself, as well as friends, on the track we wish to travel. And it is most certainly easier to get de-railed than it is to find the strength we need to get back on. However, words will always be just words if they are not coming from our own belief system. Many people including Emerson, Gandhi and Lao Tse have been credited with various versions of the following quote, “Watch your beliefs they become your thoughts. Watch your thoughts, they become words. Watch your words, they become actions. Watch your actions, they become habits. Watch your habits, they become character. Watch your character for it becomes your destiny.”…And now I am watching out for all that bhakti tawk.